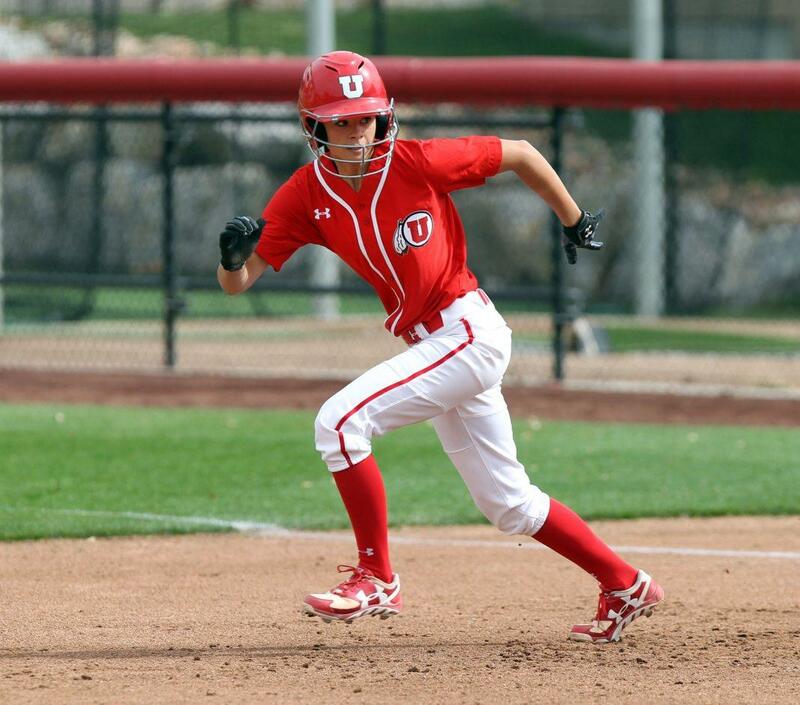 Staying in state to play softball for the University of Utah was never the plan for sophomore Ryley Ball. Now, Ball has found a home in the program at the U, and can’t picture herself anywhere else. Ball, a native of Hooper, Utah, grew up as an athlete playing both basketball and softball, and she even danced. When she got to high school, Ball chose one sport to play; softball. Ball turned away from basketball when she no longer enjoyed playing the game influenced by a tough coach in her junior high league. 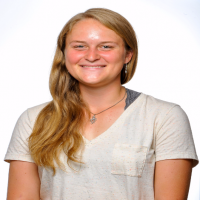 During her sophomore year, Ball gave basketball a second shot. Excelling at tryouts, Ball was given the opportunity to play with the varsity team. Although she was skilled at the sport, Ball no longer had the love of basketball that she did for softball. After giving basketball up her junior year, Ball returned to the sport once again to see if she could find her past adoration for it one last time. After getting cut from the team, Ball realized that it was finally time to focus all of her time and energy onto the sport that she loved most: softball. Growing up, Ball was always involved in athletics. Aside from softball and basketball, she also danced with her two older sisters. When she stopped dancing, her sisters continued, but their bond stayed strong. The three girls are very close with each other, and they make a point to see each other weekly and have “sister nights” since they all still live in Utah. Her sisters are a big part of Ball’s life, and she consistently looks to them for advice. It was never Ball’s intent to remain in Utah for college. In fact, she originally wanted to travel out of state to get away from where she had always lived. She craved independence and the adventure of going somewhere new. However, after attending some camps at the U and meeting the coaches, Ball fell in love. She enjoyed the campus and was welcomed with open arms by the coaches. She likes everything about Utah and is happy to be a part of this growing program. With a family that lives locally, they make every effort to come to as many games as possible. This support system is important for young players as they enter college and start moving forward in life. Tracy helped turn Ryley into the athlete that she is by acting as a coach and mentor to her through her childhood. Ryley was still always an independent player and spent many afternoons hitting off of the tee or playing catch with herself against the side of the house after school. Now entering her sophomore year, Ryley has already changed her major from nutrition to kinesiology. She is hoping to attend school to become a physical trainer’s assistant after graduation.